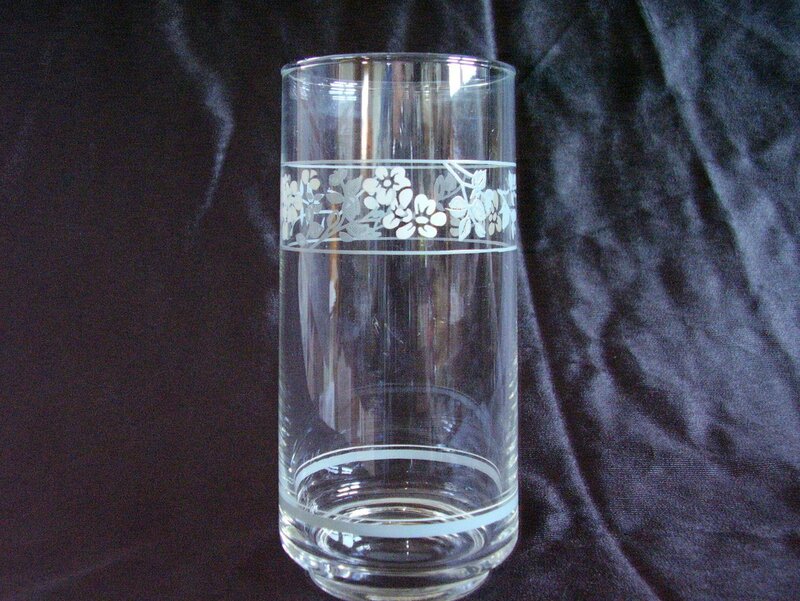 Corning Corelle First of Spring 14 oz Glassware Tumbler. This is the slant sided tumbler. First of Spring is now retired. 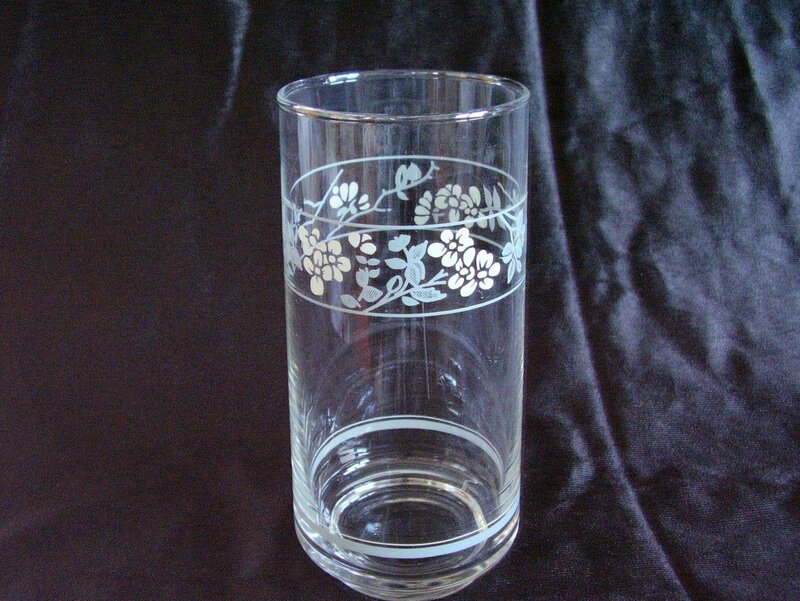 Corning Corelle First of Spring 14 oz Glassware Tumbler. This is the slant sided tumbler. First of Spring is now retired. 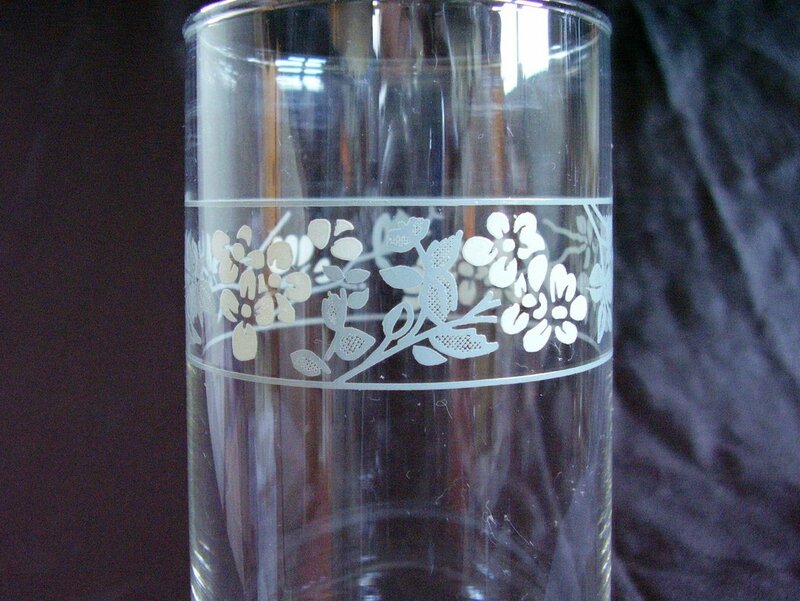 Best described as a clear drinking glass with white flowers and blue leaves, banded in blue above and below the floral decal. Also banded in white and blue near the foot of the glass. Purchased from an estate sale tumbler appears to have never been used. Each glass measures 5 7/8 inches tall, diameter at the top is 2 5/8 inches and the bottom diameter is 2 7/8 inches. Holds 14 ounces.